STEP 1: Bring 3-4 cups of water to boil in a medium-sized saucepan. Ounce boiling, carefully place sliced peach into the water and leave them submerged in the water for about 6-7 minutes or until the skins of the peaches become soft. Using a slotted spoon remove the peaches from the boiling water and place them in a large bowl of cold water. 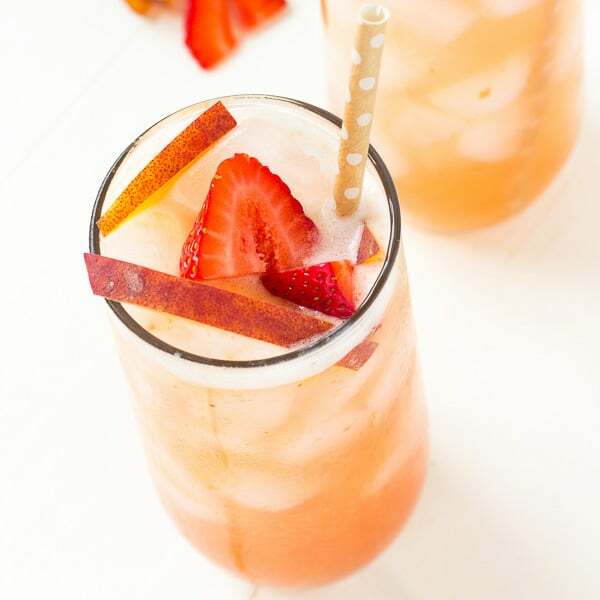 STEP 2: Using a blender, blend peaches, strawberries and 1 cup of water until smooth. 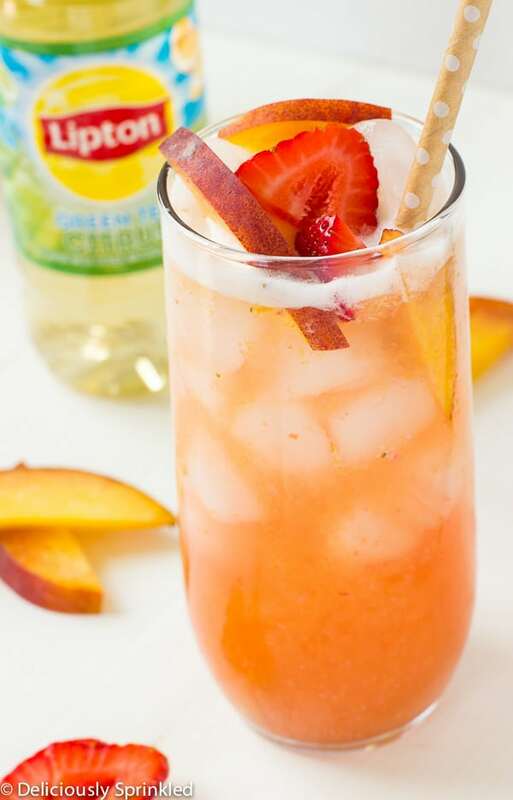 STEP 3: In a large pitcher, pour the Lipton® Green Tea Citrus and the strawberry peach mixture into the pitcher. Stir well until combined. 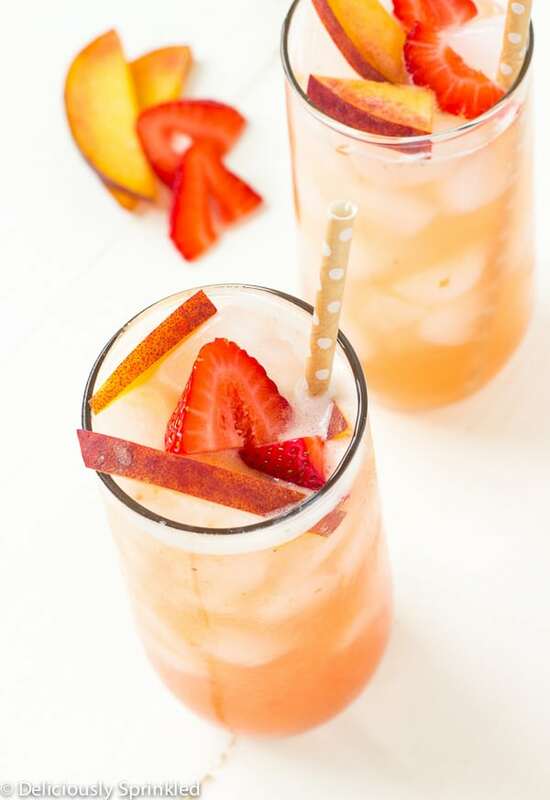 Pour into glasses filled with ice and garnish with fresh peach and strawberry slices. Wow, this sounds like such a refreshing drink! Congrats on moving!